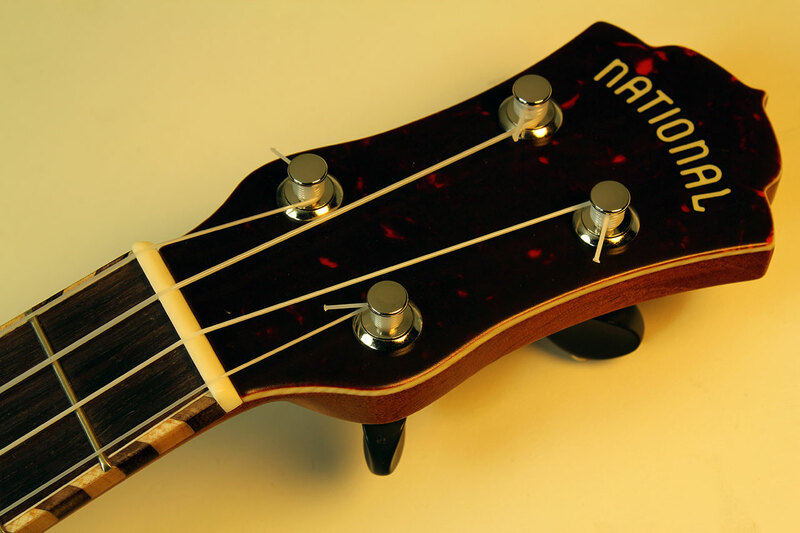 Pricing $3549 Canadian dollars, or $2794 US dollars based on 1.27% exchange rate, with case and full National warranty. NOTE: Exchange rates change daily; listed US dollar prices are based on current Canadian dollar prices. 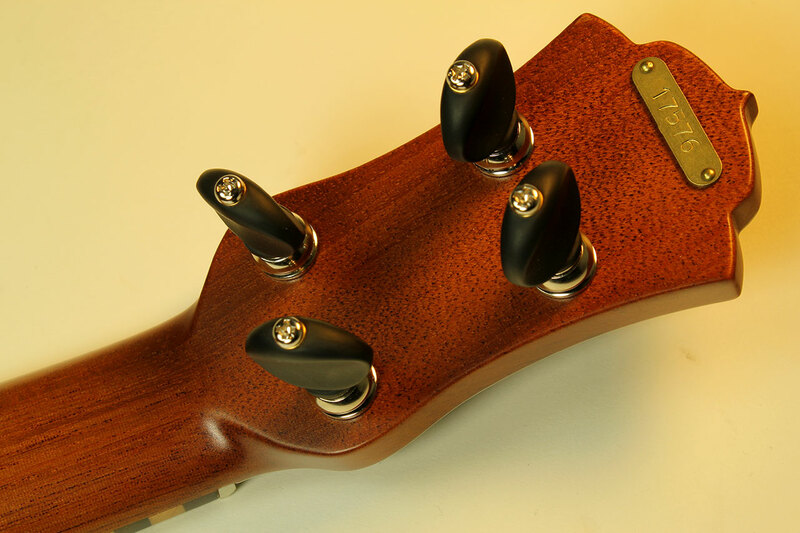 Neck Hawaiian Koa mahogany neck with tortoise head plate. 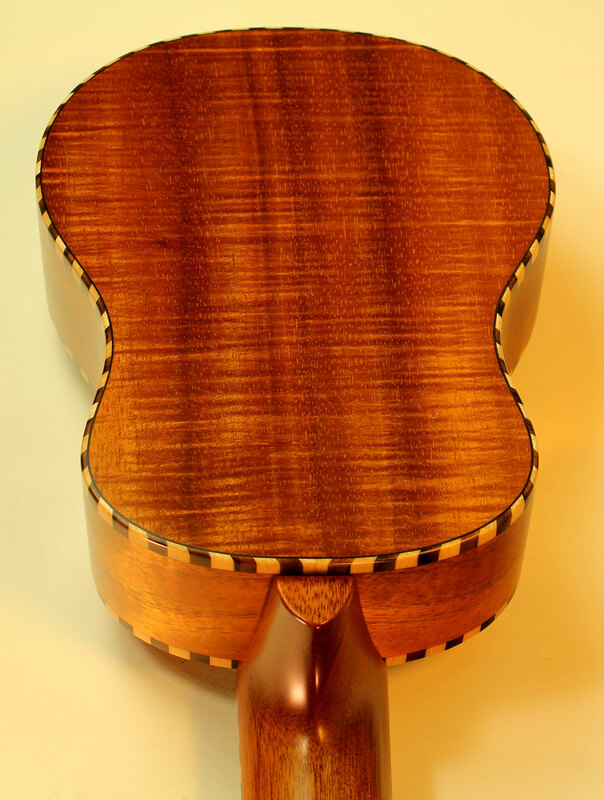 Body Hawaiian flame Koa with ‘rope’ style wooded binding. 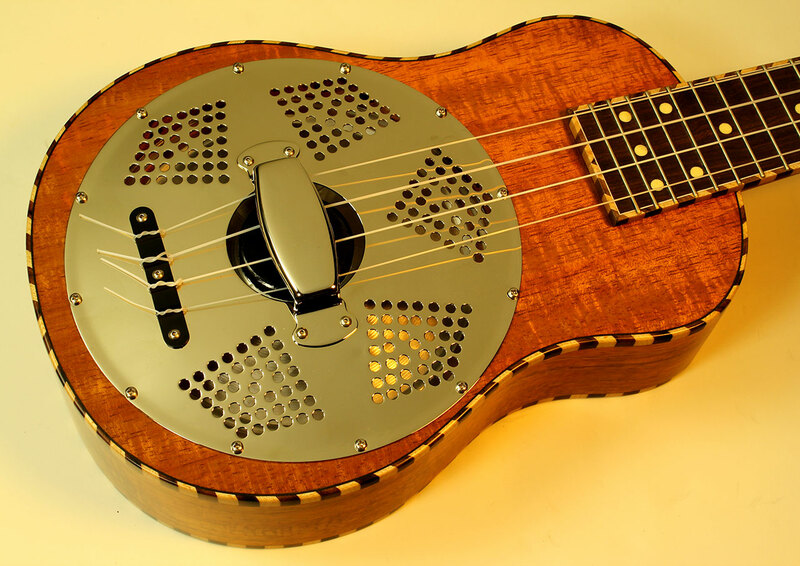 National resonator. 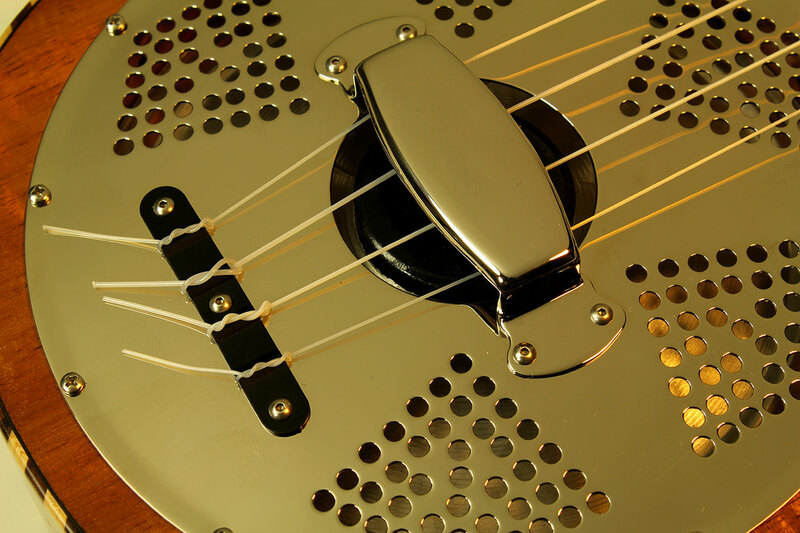 Hardware/electronics Nickel plated tuners with black buttons, nickel plated resonator cover. .
Playability/Action Plays very well right out of the box. and we’ll set it up to meet your needs. 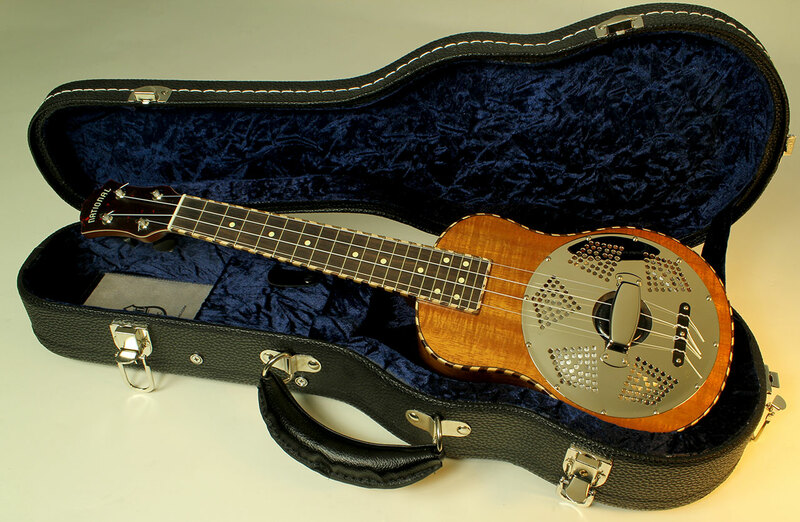 Comments We’ve just received a shipment of Ukuleles from National ResoPhonic, and here’s a very attractive Concert size model in Hawaiian Koa.It has the stellar build quality typical of Nationals, it’s quite loud and punchy yet sweet-sounding, and the flamed Koa with wooden ‘rope’ style binding really stands out. 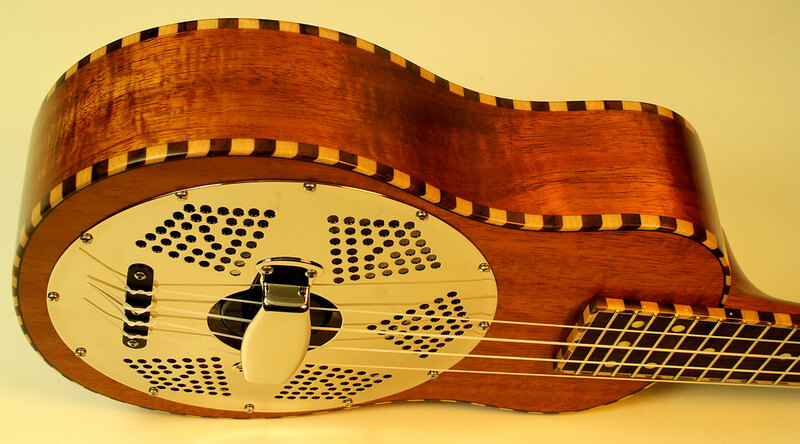 A very cool instrument!